Is Geelong Becoming The Startup Capital of Australia? 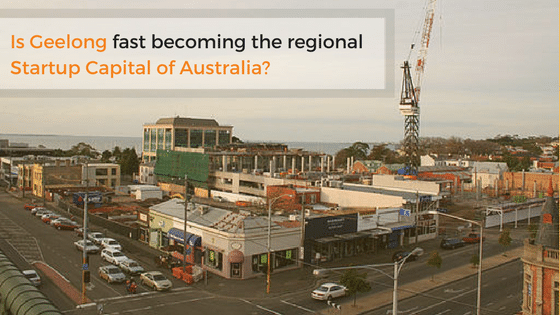 Is Geelong becoming the regional Startup Capital of Australia? Geelong, also known as the Pivot city, is one of the largest regional cities in Australia. With the decline of manufacturing the city is banking on innovation in technology and emergence of startups, for its economic growth. The past few years have been of encouragement to startups and technology companies by industry, startup incubators and the government alike. The city is seeing a rise of knowledge based economy driven by innovation and startups. Businesses are understanding the worth of innovation in staying competitive in an economy that’s globally connected. The city has a bustling startup community and if you have an innovative business idea, there is plenty of guidance and support that’s now available from various organizations. 1. Runway Geelong offers businesses help for starting up a new business. It is a fund that aims at generating 500 direct and 2500 indirect jobs and creating 70 new business enterprises. The startup Accelerator program was setup with a $1.25 million funding from the Victorian government. 2. 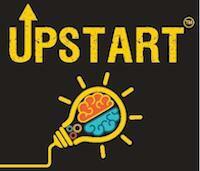 The Upstart Challenge is an entrepreneurial program and a business ideas competition for high school students aimed at building an entrepreneurial culture and fostering strong relationships between students, educators, industry and the community. 3. Pivot Summit is a premier, yearly technology conference that brings together diverse business leaders and world class speakers. The event also provides a platform for young entrepreneurs and startups to pitch their business ideas to global experts and investors. It is dedicated to help businesses grow and create more jobs and growth in the region. Pivot Summit encourages startups and innovation in technology in the region, for its prosperous future. 4. Communities like Entrepreneurs Geelong are helping businesses in the region to connect with each other, share knowledge and benefit each other. The community organises regular events for businesses to interact on a common platform and help each other grow. 5. ICT Geelong is a cluster of the Information and Communication Technology industry in Geelong. The Not-for-Profit organisation brings leaders of the private sector and the government together, in working towards growth of investment and infrastructure in the industry. Some of the initiatives of ICT Geelong include, entrepreneurship conferences, a $50,000 IT investment pitching competition and the G21 Digital Innovation strategy. The organisation has played a key role in the establishment of the Australian Sports Technology Network and the HeadStart Accelerator. 6. The Geelong Chamber of Commerce is playing a key role in advocating for the businesses of Geelong. The organisation has 900 members and regularly holds business networking events to nurture the growth of entrepreneurship in the region. The organisation was established in 1853 and continues to play a key role in the economic development of the region. 7. The Committee for Geelong was established in 2001 by a group of leaders who had a vision from a more flourishing Geelong. The committee is working towards the economic advancement and infrastructure development in the region. The committee is an independent member-based organisation representing political and industry leaders. 8. One10 is a social enterprise accelerator setting up its regional arm in Geelong. The organisation aims to encourage social entrepreneurship in the region and help the cause of employment and social equality. 1. Fysho – an AI startup that helps users to capture fishing memories. With numerous industry bodies, private players and the government supporting the cause of innovation in technology and for building a vibrant startup ecosystem in Geelong, the city promises to be a hub for startups and IT innovation. The city, as many business leaders predict, is steadily working its way to become the startup and innovation capital of Australia. Enterprise Monkey has been equally enthusiastic about the way Geelong is evolving and growing towards becoming a smarter city of the future. We have been directly involved with initiatives like Runway, Pivot Summit, the Upstart Challenge and Entrepreneurs Geelong. We have been conducting numerous workshops for the business community, educating them about smarter ways of doing business and helping them to evolve and grow.